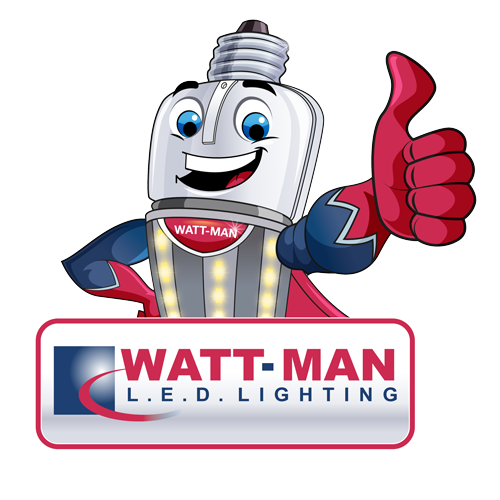 WATT-MAN LED Lighting, headquartered in Stone Mountain, GA, is a leading supplier of quality LED lighting systems. The company was originally founded in 1987, and by the mid-nineties, was pioneering the use of high-performance LED technology into a variety of specialty, retail, industrial, commercial, and healthcare lighting applications. In the more than two decades since the first LED products were introduced, WATT-MAN has accumulated vast, valuable application and technical expertise. Today, WATT-MAN LED Lighting can meet both new construction and retrofitted lighting applications with a comprehensive line of LED lighting products that are supported by a team of technical experts. 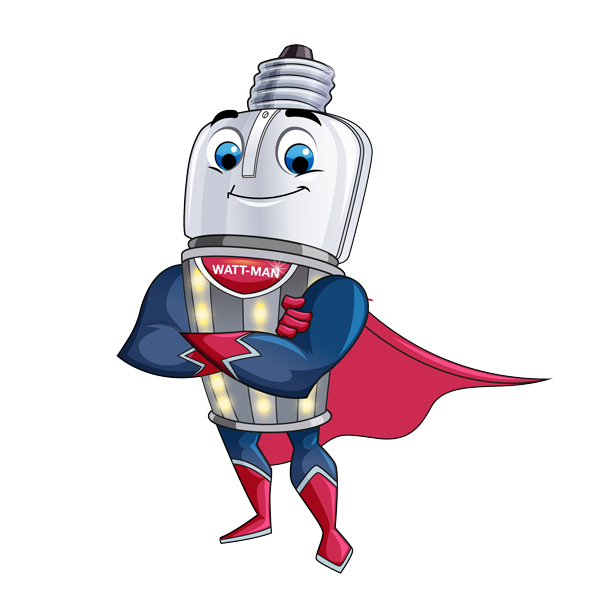 WATT-MAN LED Lighting products are distributed throughout North America by a network of leading electrical supply companies, distribution partners, and value-added resellers. Call us toll-free for a no obligation lighting consultation, or to locate a reseller near you. Some of our most frequent solutions include exit signs, patient room night lights, commercial step lights, industrial signal beacons, commercial bank lane signals, loading dock signal and communication systems, industrial control panel indicators, warehouse fixtures, recessed down light fixtures, perimeter lighting fixtures and a variety of bulbs, fixtures, and other quality LED solutions. 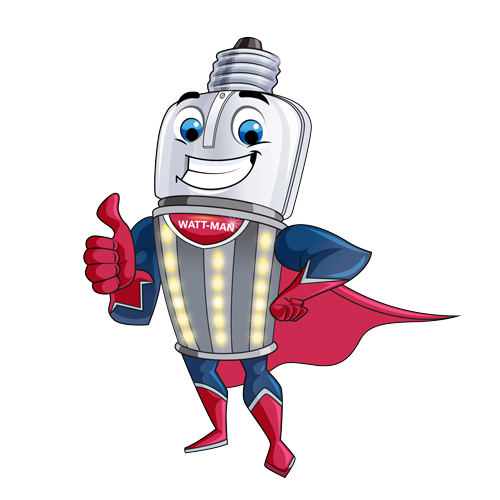 WATT-MAN LED Lighting will provide our customers with innovative, cost-effective LED lighting solutions. We will use our extensive industry experience and problem-solving expertise to earn their trust while delivering quality LED products, value-added technical assistance, and outstanding customer service at every touch point. We will operate the business to the highest ethical standards and treat our distribution partners, vendors, and associates with the utmost respect. Additionally, we will do everything in our power to uphold the promise of being the most trusted name in LED lighting. LED lighting solutions is what we do, and our exclusive focus. Our comprehensive product catalog includes hundreds of LED lighting solutions, and everything you’ll need to complete your retrofit or new construction lighting project. Trust our experienced, expert technical LED lighting consultants to assist you in finding innovative retrofit solutions for any lighting application. We’ll make sure you get the right product the first time, so you can keep your project on the track. Our customer-centric support philosophy is centered on accessibility and accountability. Trust us to be there before, during, and after every opportunity to serve your LED lighting needs. And, if there’s a problem, we’ll resolve it promptly. Call our toll-free number for fast, USA-based order information and expert technical assistance. We also accept fax and email correspondence, and you can download the free PDF product catalog at any time from this website. We’ve been earning our customers trust since 1987. That doesn’t mean we’re old, it means we’re old fashioned. We’ve carried the concept of quality LED lighting products, outstanding technical support, and a great love for helping others into the twenty-first century. 50-watt, 70-watt, 100-watt, 125-watt, 150-watt, 175-watt, 200-watt, 250-watt, 300-watt, 350-watt, 400-watt.